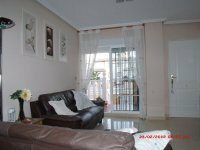 VILLAS AND APARTMENTS TO RENT IN LA ZENIA, SPAIN. Welcome to our selection of holiday homes to rent in La Zenia, Spain. La Zenia is a beautiful resort located on the Costa Blanca near Cabo Roig and Playa Flamenca. La Zenia is close to many fantastic blue flag beaches, particularly those in Cabo Roig and Playa Flamenca. La Zenia has a great range of shops bars and restaurants to choose from. There is a market on Saturday which is very popular with tourists and locals from the area. For those with children there is a Go-Kart track and fun fair to enjoy. Looking for self catering holiday accommodation in La Zenia? Then below is a selection of apartments in La Zenia and villas in La Zenia that can be rented direct from their owners. You can either click on each listing for further details or you can use our search engine on the left if you are looking for something in particular.